Nature has found some elegant solutions to complicated problems and engineers have long been inspired by its designs. But Adrian Thomas thinks translating the best of nature’s discoveries into man-made devices requires the ability to step back and see the context. Thomas is a Professor of Biomechanics at the University of Oxford in the UK, and he’s taken an unusual route through academia. After studying zoology at undergraduate level, he went on to study the aerodynamics of bird tails for his PhD, and has published research on everything from experimental animal studies to theoretical fluid dynamics. He’s also founded a start-up called Animal Dynamics to capitalize on his experience at the intersection between biology and engineering. His company has been given £1.5m by the UK’s Ministry of Defense to design a miniature drone that mimics the way a dragonfly flies. The company is also working on whale-inspired water propulsion and an off-road wheelchair with legs like a spider’s. The company is not the first to borrow ideas from animals, but what singles their work out, says Thomas, is a deeper focus on the context in which nature’s solutions have arisen. He says much work in the field of so-called “biomimetics” is actually just biomimicry – engineers see an elegant solution in nature and copy it. But he says evolution is not necessarily focused on solving the same problem as the engineer and is actually optimizing its design to perfectly balance all the competing selection pressures on the animal in question. So what Thomas looks for is evidence of convergent evolution. This refers to cases where very different animals with completely different evolutionary histories converge on the same solution. The best example, he says, is the fact that animals that swim all have the same body shape. That means that design is not about being a shark, a whale or a penguin, it’s about being a fast swimmer. That’s because evolution is not starting with a blank canvas. Every animal has all kinds of oddities and inefficiencies that are hangovers from its ancestor’s evolutionary history, and copying their mechanisms verbatim means carrying over all of this baggage, too. That’s why, even though whales have evolved the same body shape and the same large rear fin as sharks, their tails are horizontal rather than vertical. “Whales’ ancestors used to gallop, so their back goes up and down rather than side to side,” says Thomas. 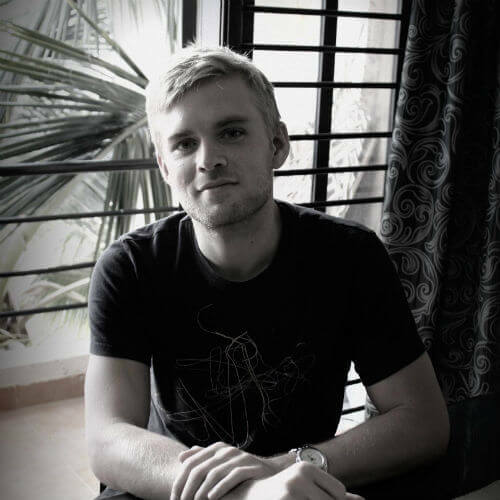 By spanning the fields of both physics and biology and filling his labs with a good balance of PhD students from each of these disciplines, Thomas says they are able to extract the essential physical principles that give these animals such great performance in tasks they’d like to mimic in man-made systems. 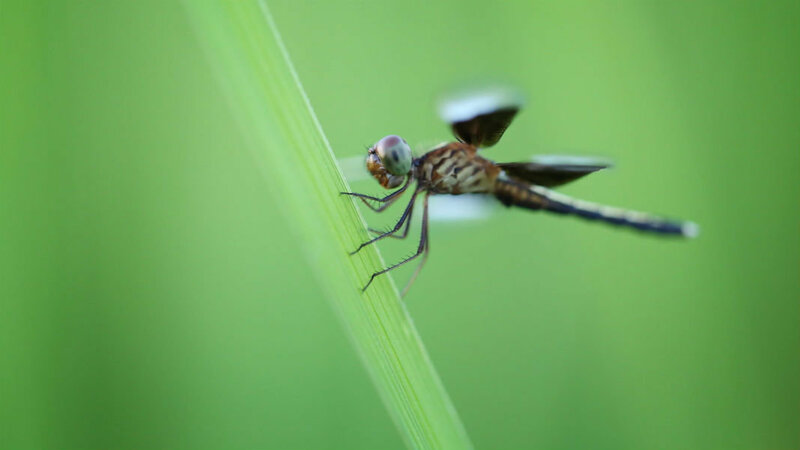 The Globe Skimmer dragonfly, which Thomas’s “Skeeter” drone draws inspiration from, weighs just three grams but migrates across the Indian Ocean without feeding. “We’re nowhere close to doing that. But it gives us a good target and it tells us it’s physically possible,” Thomas says. The team is also trying to capture efficiency with their flapping propulsion water vehicle “Malolo.” They hope this efficiency will eventually allow them to break the human-powered water speed record, but they also think it could be scaled up to revolutionize propulsion in the shipping industry. And a nice side effect of borrowing designs from nature, says Thomas, is that they tend to be striking.